Ayr welcome Glasgow Hawks 1st and 2nd XVs to Millbrae on a busy Ladies' Day. The 1st XV kick off at 3pm in the second round of the BT Premiership and their first home league game of the season. It's Ladies' Day, which this year sold out in record time and will raise funds for the Little Art School Trust. The additional 350 female fans will no doubt create a great atmosphere for the west coast derby. Ayr and Hawks played each other four times last season, with Ayr coming out on top in all meetings, and after a narrow win against Boroughmuir last week, the home side will be hoping to put in a good performance. The visitors come to Millbrae on the back of an encouraging win against Marr on the main pitch at Scotstoun in the first round. "Hawks played some good rugby last weekend," says Ayr head coach Calum Forrester, "and we will need to tighten up our defence against a dangerous attacking side in order to get a result on Saturday." In the squad, Ryan Grant makes his first start, following an appearance from the bench last week for the former Scotland star. Adam Prentice moves to the replacements alongside the returning Steven Longwell, and Brandon Thomson, who has been released by Glasgow Warriors for the fixture. Grant Anderson; 14. Scott Lyle, 13. Danny McCluskey, 12. Stafford McDowall, 11. Craig Gossman; 10. Frazier Climo, 9. David Armstrong; 1. Ryan Grant, 2. Lewis Anderson, 3. Robbie Smith; 4. Robert McAlpine, 5. Scott Sutherland; 6. Blair Macpherson, 7. Tommy Spinks, 8. Pete McCallum (c). Steven Longwell, 17. Adam Prentice, 18. George Stokes, 19. Paddy Dewhirst, 20. Brandon Thomson. 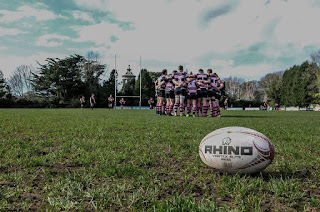 Ayr 2nd XV also take on their counterparts from Old Anniesland but at the earlier time of 2pm at Millbrae. Harry Warr captains the side from fly-half, with Cameron Taylor returning to the squad on the right wing. There is a speedy second row in new Ayr players Michael Badenhorst and Jonathan Agnew, whilst the bench is made up of strong and versatile replacements. Sam Gray; 14. Cameron Taylor, 13. Sam Graham, 12. Zac Howard, 11. Jamie Bova; 10. Harry Warr (c), 9. Lewis Young; 1. Ben Paterson, 2. Stuart Collier, 3. Ruairidh Sayce; 4. Jonathan Agnew, 5. Michael Badenhorst; 6. Alan Miller, 7. Craig Brown, 8. Cameron Reece. Mandeep Samra, 17. Fraser Miller, 18. Seth Rae, 19. Ruairidh Bottomley, 20. Euan Hamilton.